Recently, along with the UCI Alumni Association, our firm sponsored the “Anteaters in Law October Social Hour” at Andrei’s Conscious Cuisine & Cocktails. Anteaters in Law (AIL) is a chapter of the University of California Irvine’s Alumni Association, and the October Social hour was a networking event for all lawyers who attended UCI as an undergrad or for grad school, or law school. Our CEO, Reza Torkzadeh, and Partner Korosh Torkzadeh both sit on the board of the AIL group, and serve as active mentors and resources to all students currently enrolled at UCI. 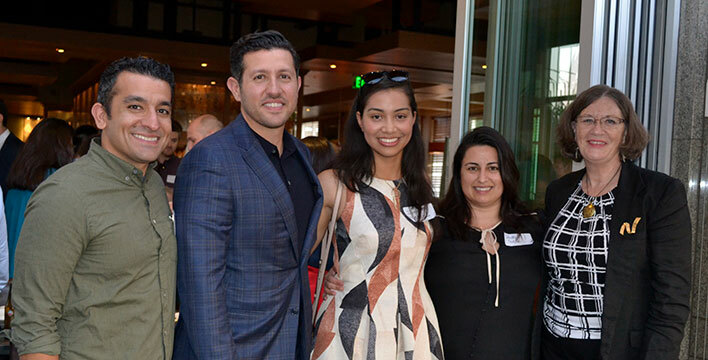 Reza and Korosh attended the event with TorkLaw attorney Shelly Raizadeh and legal assistant Ivette Aragon.